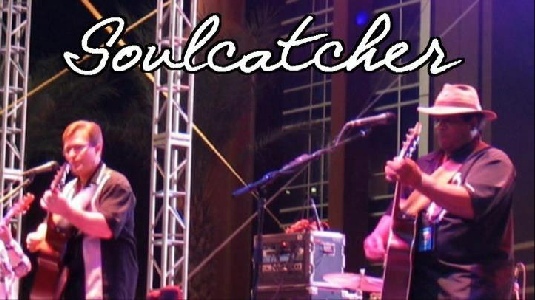 SOULCATCHER is a 21 year music partnership between Tim Hern and Leslie Gray which resulted in a premier blues and blues driven rock acoustic duo. The name reflects our goal of capturing your emotions and passions. Our visions and stories are shared through our music and storytelling. Take a journey with us as we lay it down for you. We perform for Concerts, Conventions, Festivals, Country Clubs, Fundraisers, Private and Corporate Events, Anniversaries, Grand Openings, Picnics, Tailgate Parties, Birthday Celebrations, TV, Radio and General Entertainment Events. Performing original compositions and cover song shows. We are available to travel anywhere, helping you provide world class entertainment for your entertainment needs. Check out www.soulcatcherblues.com or follow us on Facebook for national and international show schedules.